You may not realize it, but you deal with intellectual property (IP) every day. If you own a website, that website is your intellectual property. The way you deal with IP yours and others can directly impact the success of your business. A patent deals with a completely new invention a useful item, a novel look on an already-existing item, or a new plant species. Depending on the type of patent, they re good for between 14 and 20 years. The scope of a patent is defined by its claims. A claim is only one sentence but it may go on for pages, which is why it’s best to hire an experienced patent attorney. Copyrights protect creative expression books, websites, songs. There is such a thing as common law copyright, which means that you have rights when you create something. The difficulty lies in proving you were first to create it. For only $30 you can register with the U.S. 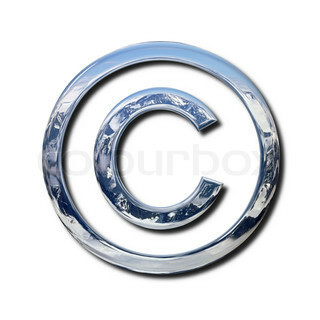 Copyright Office (http://www.copyright.gov ). The forms aren’t complicated, and you have a lot more protection in an infringement suit. The copyright is good for your lifetime and seventy years after you die, and you can make it assignable to anyone upon your death. Copyrights don’t protect the information found in a book or on a website, but they protect the lay-out and presentation. For websites, registering your first and last 25 pages of code protects the code for your entire website and the creative expression of your display screens. A trademark designates an object’s source it’s a mark or name associated with quality. In trade mark law, arbitrary names are encouraged Kodak, Kleenex, Apple. The less your trademark describes your product, the stronger it is. If you sell film, using Film as a trademark won t hold up in court. Again there are common law trademarks, but they re hard to prove and offer less protection than a state or federal trademark (http://www.uspto.gov ). Trade secrets are governed by state laws and vary from state to state. They encompass a variety of things from formulas (think Coke ) to customer lists to product sources. Many companies have contracts that expressly prohibit their employees and vendors from giving away any information they’re exposed to while doing business with them. Commonly known facts aren’t considered trade secrets so it s good to be discreet with your valuable information. Chris Malta and Robin Cowie of WorldwideBrands.com are the Writers and Hosts of The Entrepreneur Magazine EBiz and Product Sourcing Radio Shows. http://www.worldwidebrands.com/EMRinfo for more FREE eBiz info from Entrepreneur Magazine Radio!